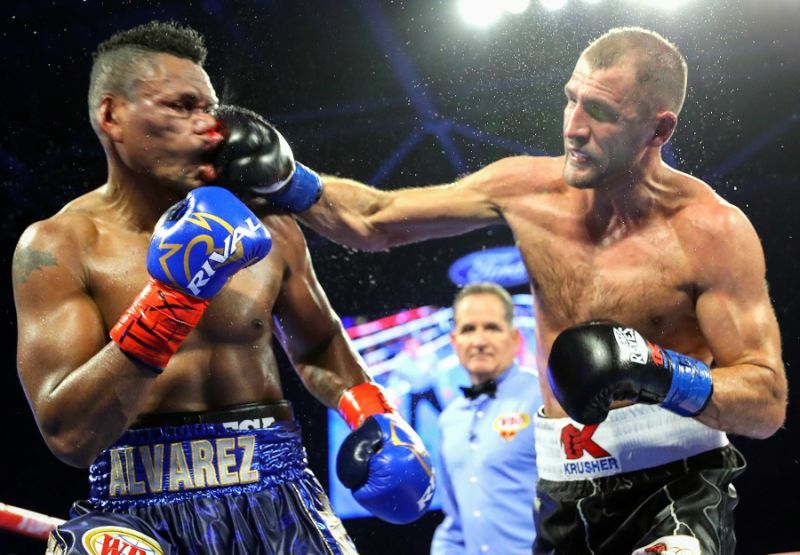 Former world champion Sergey Kovalev 33-3-1 (28) reclaimed the WBO light heavyweight championship with a comprehensive 12-round unanimous decision win over former conqueror Eleider Alvarez 24-1 (12) on Saturday night at the Ford Center at The Star in Frisco, Texas. The fight, which was an immediate rematch of their August clash that Alvarez won by KO7, was scored 116-112, 116-112 and 120-108, all for the ‘Krusher’. The 35-year-old Russian looked a rejuvenated fighter under new coach Buddy McGirt, who had Kovalev using his educated left stick to control distance and range while piling up points for much of the fight. There were some willing exchanges in the mid-rounds with Alvarez loading up as he looked for the fight-ending punch that never came, but once Kovalev re-established his jab he was able to wrest back control of the battle. “I went back to my amateur style to work on my jab. in my last fights I was losing my style that won all my fights. I was forgetting that style as I took so much time off in between fights,” said Kovalev, who landed almost 2:1 as many scoring punches according to punch statistics. McGirt, who is due to be inducted into the International Boxing Hall of Fame this year for his work as a boxer, was pleased that his charge followed his direction for most of the fight. “I’m very happy he stuck to gameplan, better than I expected,” he said. Both boxers opened up in the championship rounds landing big shots with both hands as they looked to close the show with a bang, but in the end Kovalev simply had too much boxing acumen for Alvarez. Big fights beckon for Kovalev who could potentially face WBA champion Dmitry Bivol 15-0 (11), IBF boss Artur Beterbiev 13-0 (13) or WBC kingpin Oleksandr Gvozdyk 16-0 (13) in unification bouts that would have fight fans salivating.